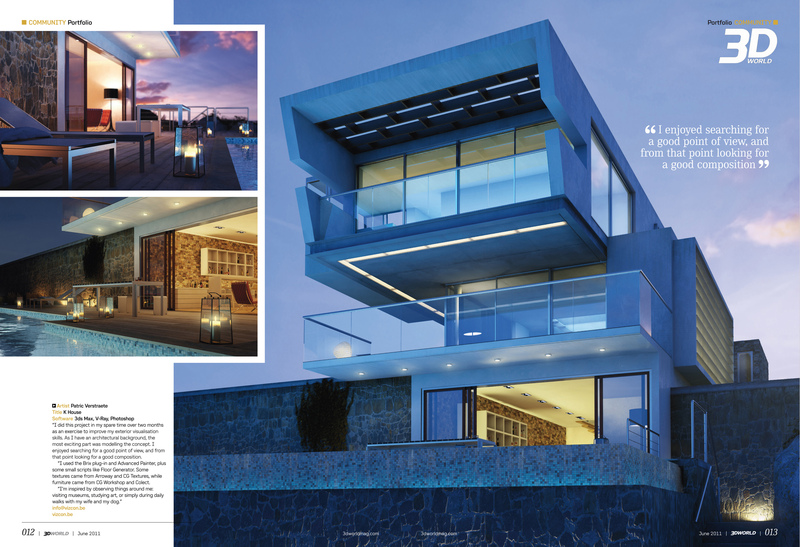 My image « K house » appears on the cover too, with a step-by-step infocus article inside. For the 3D Artist Magazine #33. I wrote a four pages 3D tutorial about the making of the “K house”.